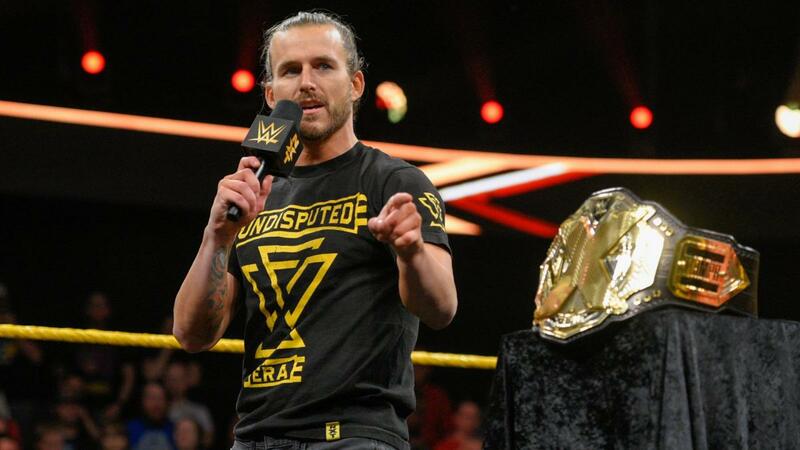 Tonight’s episode started with Adam Cole coming to the ring to call out Johnny Gargano. 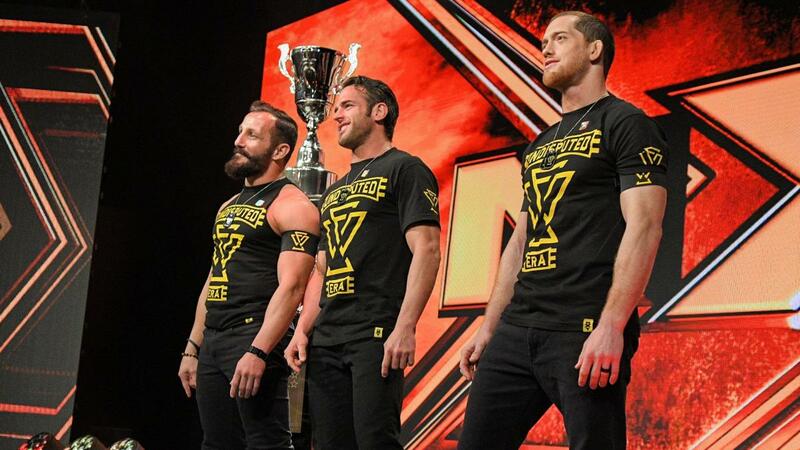 Once Gargano entered the ring it felt like a solid minute where they just sat there and listened to ‘Adam Cole/Johnny Wrestling’ chants before Cole finally spoke up and said he doesn’t need those chants. Cole says instead of being called ‘Johnny TakeOver’ he should be called ‘Johnny Participation’. Gargano says the difference between him and Cole is that he had to scratch and crawl to get where he’s at. While Cole is leaving the ring he says there’s one reason why he’s leaving TakeOver as champ. Seconds later the rest of the Undisputed Era comes to the entrance. After that very long promo was our first match with Vanessa Borne and Aliyah vs Lacey Evans and Kacy Catanzaro. This match didn’t last long due to Baszler and her gang coming to the ring and beating up Evans and Catanzaro. Baszler then went to the announce booth and advised them that this will keep happening as long as she’s mistreated. I think Belair will win this match with Baszler, Sane, and Shirai all getting the call up after WrestleMania. There’s a lot of upcoming women they could start using for a fresh start in NXT. But I’ll guess we’ll see in two weeks. The second match of the night was Matt Riddle vs Kona Reeves. This match was also cut short. But this time due to the likes of Velveteen Dream, being rolled out laying on a couch with a pimp cup in hand. You read that correctly. Reeves took advantage of the distraction but wasn’t able to capitalise. Riddle soon took control and won with his Bro-mission. I just don’t see Riddle losing this match with the push he’s getting and the time that Dream has put into NXT already…bro. For the main event, we got the finals for the Dusty Rhodes Tag Team Classic. Which was the Forgotten Sons vs Ricochet and Aleister Black. I am 100% confident in saying there was not a single person in that crowd rooting for the Forgotten Sons. During the match was the birth of a new ‘Aleister Black’ chant to the tune of ‘The Addams Family’ theme song that cracked me up each time they started it up. There was a small moment in the match where it kind of felt like the Forgotten Sons might end up winning this and the energy from the crowd completely died. But thankfully, that was short lived. As much hate as the Sons gets, this was actually a great match. The match ended with the Black Mass followed by the 630 splash as Ricochet and Black won this year’s Dusty Rhodes Tag Team Classic. As the show was coming to an end, the War Raiders came to the ring and had a staredown with their TakeOver competitors. And that wraps it up for this week’s NXT. We have one more episode before TakeOver: New York so there’s probably going to be a lot of promos next week. We do have one confirmed match next week with Kairi Sane vs Bianca Belair. Which is probably going to get interrupted by Baszler and company. Thanks for reading and long live wrestling!